In 2018, Anova joined USAID Oceans’ network of partners to establish full-chain traceability for tuna products harvested in Southeast Asia that are imported into the United States. 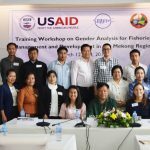 The USAID Oceans and Fisheries Partnership (USAID Oceans) is a five-year, regional program working throughout Southeast Asia to bridge the public and private sectors to develop fully transparent seafood traceability systems that combat illegal, unreported and unregulated (IUU) fishing. 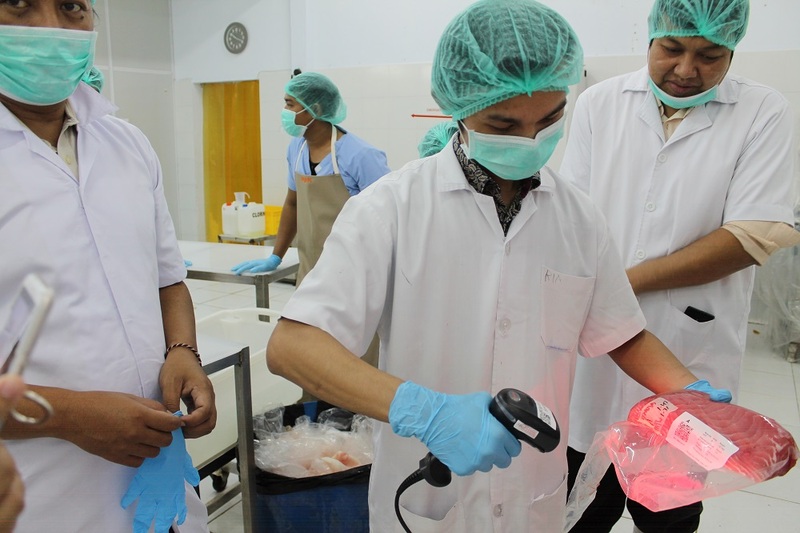 In Indonesia, the program has partnered with a range of supply chain actors for fully traceable tuna products that bring benefits to actors in Southeast Asia, as well as back to markets and consumers in the United States. 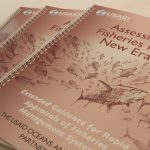 The following case study presents the benefits of “bait-to-plate” electronic traceability systems, as seen through USAID Oceans’ partner, Anova Food, LLC. Anova is a top, sushi-quality tuna company in North America that leads the industry in the global sourcing of wild caught and sustainably harvested tuna. Annually, Anova imports over 12 million pounds of frozen tuna products to the United States for sale by retailers, including the country’s second largest food service company. Anova sources its seafood from several countries in the Western and Central Pacific Ocean, with 40 percent harvested from the rich waters of Indonesia. Anova has a core commitment to social and environmental responsibility and works to deliver sustainable seafood to ensure a healthy supply of fish for future generations. 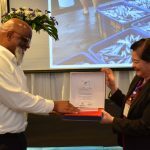 Anova sources its seafood from an Indonesia tuna processor, Blue Ocean Grace International (BOGI), a USAID Oceans First Mover partner who is participating in the electronic catch documentation and traceability (eCDT) system. In February 2018, BOGI began using TraceTales, a traceability application that allows processors to electronically track their inventory as it moves through the processing factory—from receiving, to filleting, to packaging, freezing and shipping. TraceTales, developed by MDPI, enabled BOGI to convert their old, 100 percent paper-based recording system to a fully digital, computer-based system that allows them to electronically capture, store and manage product data. At BOGI, tuna is prepared, packaged, and shipped for export—all while being tracked with TraceTales. Increased assurance in meeting import requirements. The U.S. 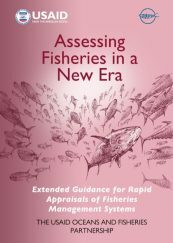 Seafood Import Monitoring Program (SIMP), launched in 2018, establishes reporting requirements to prevent IUU seafood products from entering the United States. TraceTales enables Anova’s suppliers, such as BOGI, to efficiently record its products and create reports that meet SIMP requirements. 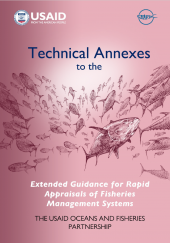 In turn, Anova is assured that the products they are importing, supplied from small-scale fisheries, meet requirements and will not be turned away. Greater ability to meet customer requirements. Customer demand for traceable seafood products is high and steadily increasing. TraceTales has helped Anova to establish credibility with their customers that their products are sourced legally, responsibly, and are properly labeled. In 2018, the volume of filets (loins) produced by BOGI increased by 45 percent. Demand for fully traceable tuna products will continue to grow as more and more customers require the level of traceability afforded by new technology. Enhanced efficiency and business intelligence. TraceTales has markedly increased the pace and accuracy of data capture, inventory reconciliation and business calculations. The system has reduced errors in data received from BOGI through reduced human error that was inherent to the old, paper-based system. Anova also now uses less time in production, receiving and packaging. Blane Olson, Managing Director, Anova Technical Services, LLC. Increased accuracy and efficiency in operations and data management. TraceTales can be accessed simultaneously by multiple workstations where users can enter data quickly and accurately in time with the processing activity, with reduced human error. Reduced product recalls and waste. With the system, the source of recalled products can be easily pinpointed as specific boxes can be traced through printed labels, resulting in a fewer product rejections and waste. Increased capacity for data analysis and business decision making. TraceTales allows users to manage production, inventory, and transaction data from each stage of processing. Yield analyses can also be conducted, not only in the processing plants, but also with the middlemen who supply the fish to identify where there is room for improvement along the supply chain. Reduced operational costs. Eliminating paper-based data collection has allowed BOGI to reduce the number of staff needed to manually capture and record information. These staff have been promoted to other roles in the company, enabling staff greater opportunity and processors with additional human resources. Clearly define the scope of traceability system needs by identifying its purposes, relevant stakeholders, information and data to be captured, and required capabilities. Allow for flexibility in the system so it may be customized for use in different processing plants. Conduct pilots at a small scale to assess and evaluate system capabilities. Build strong relationships and work closely with suppliers. Provide trainings to staff and relevant suppliers. Communicate frequently with customers on current traceability practices and commitments. In addition to traceability’s numerous business benefits, the adoption of eCDT tools and systems supports marine biodiversity conservation through enhanced fisheries management, as well as the potential to create more fair and equitable supply chains for those that work in them. Learn more at www.seafdec-oceanspartnership.org. Download this Case Study to share.